Canterbury Park will conduct 70 days of horse racing in 2018. The Minnesota Racing Commission approved the Shakopee, Minn. racetrack’s request to run Friday, May 4 through Saturday, Sept. 15. This will be only the second time in 23 seasons that Canterbury has raced as many days. Seventy days of racing were held in 2015. The 2017 season included 67 race dates. 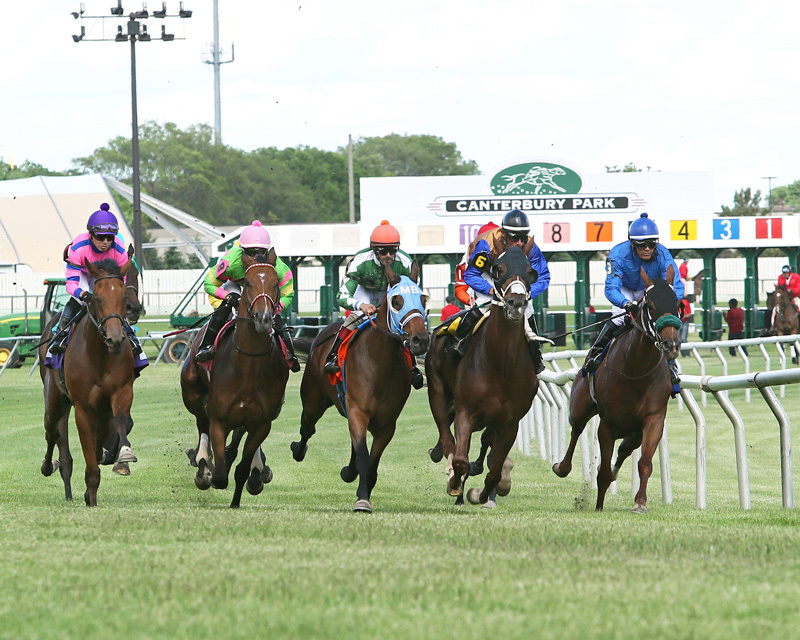 “We’re thrilled to offer our fans and horsemen 70 days of great racing and wagering action. With record purses that could reach $15 million, we expect to continue our upward trend in attracting quality stables and creating great wagering opportunities,” Canterbury Park President Randy Sampson said. The season again opens on Kentucky Derby weekend. On Thursdays and Fridays in 2018, racing will begin at 6:30 p.m. and weekend and holiday racing at 12:45 p.m. On July 3 racing will begin at 4:00 p.m. and will be followed by a fireworks display that last July attracted more than 20,000 onlookers. In August, Canterbury will race the first four Wednesdays of the month with no Sunday racing. The Wednesday start time will be 6:30 p.m.
A 2012 cooperative marketing and purse enhancement agreement reached with the Shakopee Mdewakanton Sioux Community, owners and operators of nearby Mystic Lake Casino Hotel, will supplement purses by $7.28 million in the coming race season. The agreement extends through 2022 with more than $83 million going toward purse supplements and joint marketing of the two properties and the region known as RiverSouth-Land of Big Fun. Canterbury Park racing officials will release the 2018 stakes schedule in January. The promotional calendar, which includes several popular events such as Corgis & Cupcakes and Extreme Race Day, will be announced in March. More information is available at www.canterburypark.com.